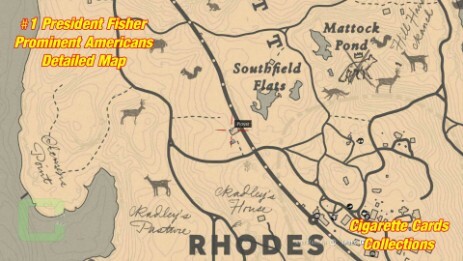 The card is located in the Rhodes area. 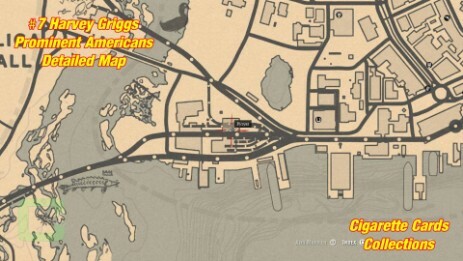 Northwest of Rhodes is a building with ramps next to the train tracks. 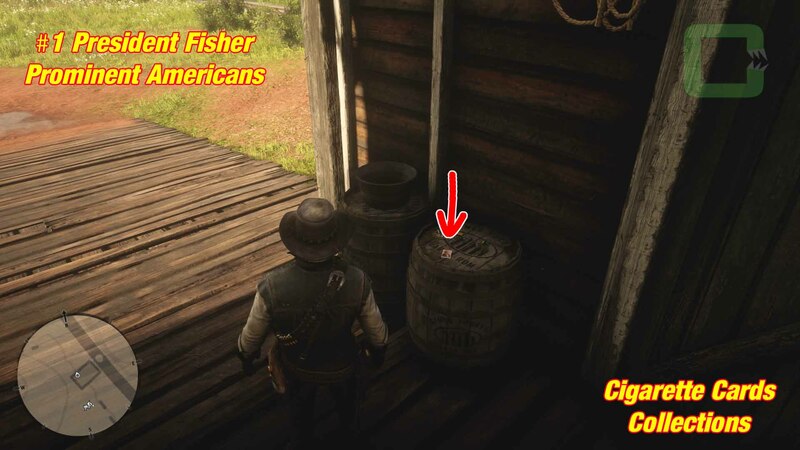 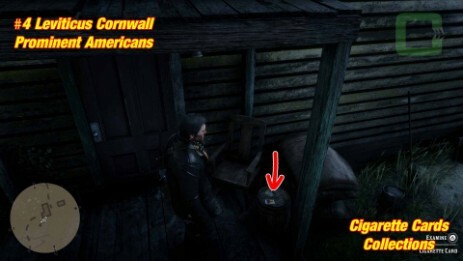 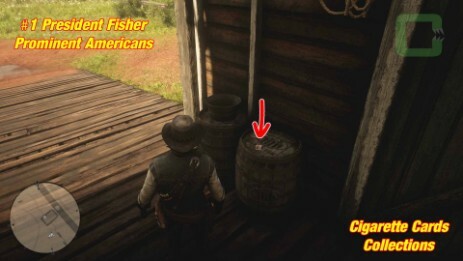 The card is on a barrel near the ramp. 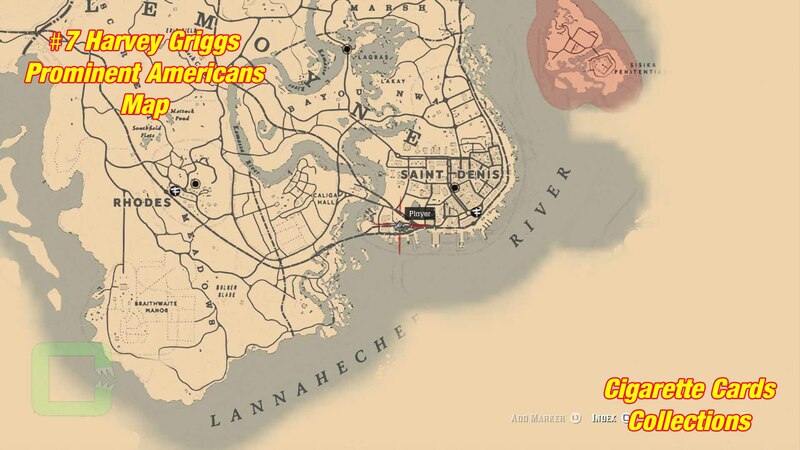 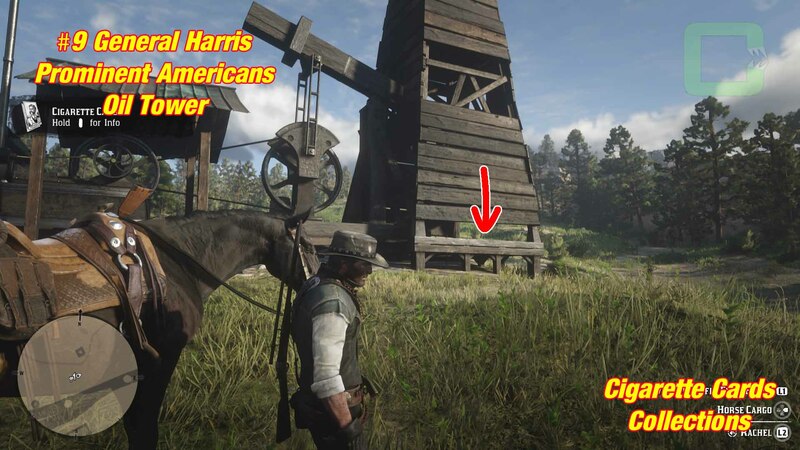 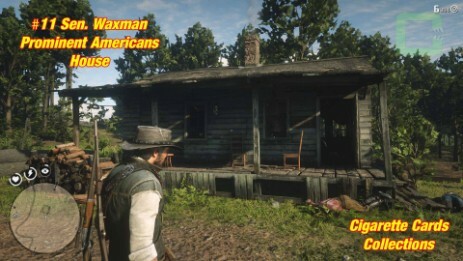 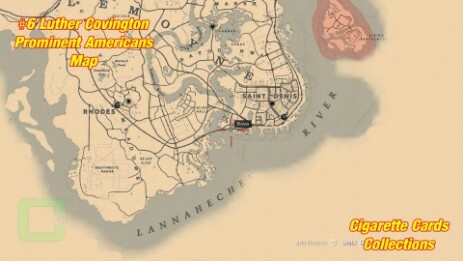 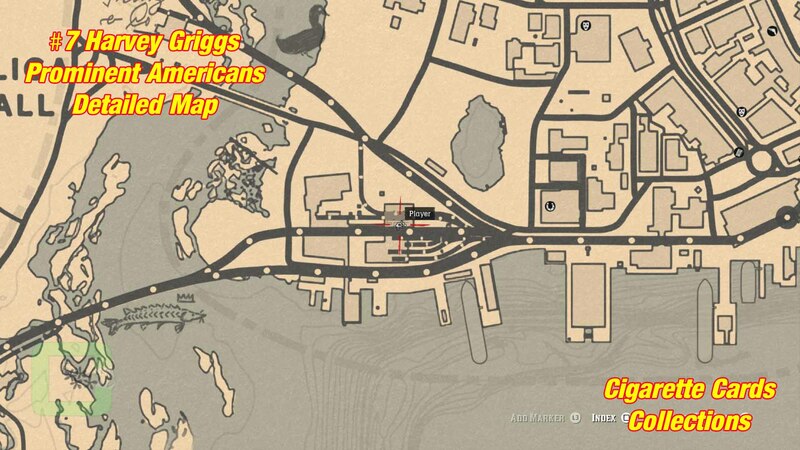 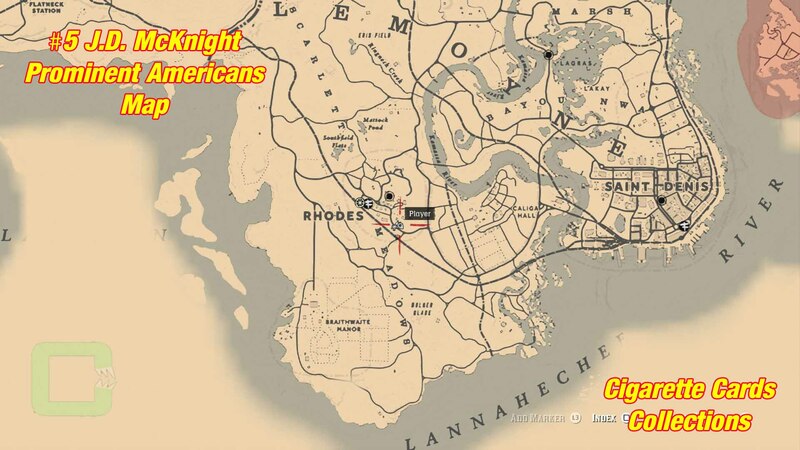 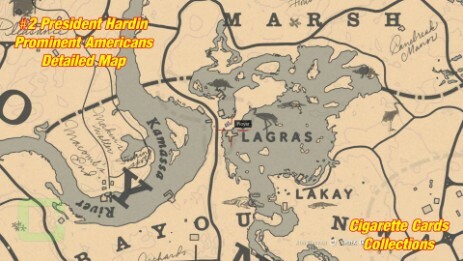 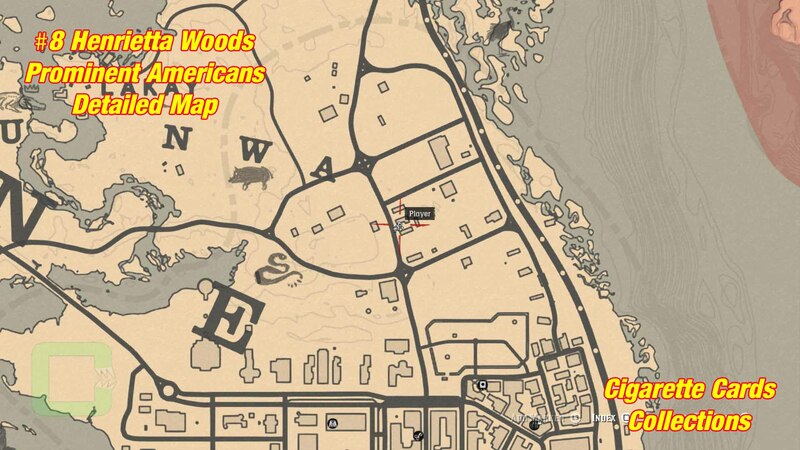 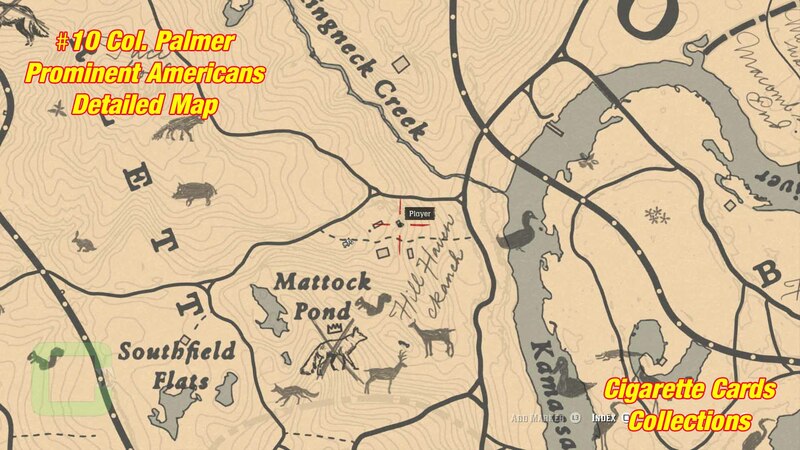 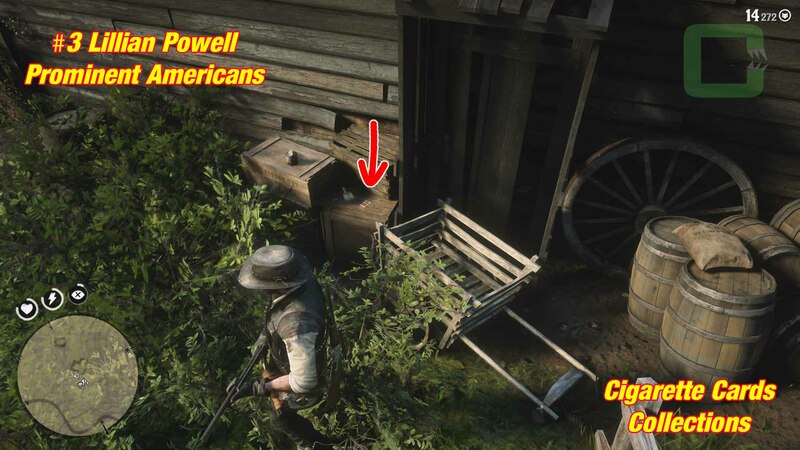 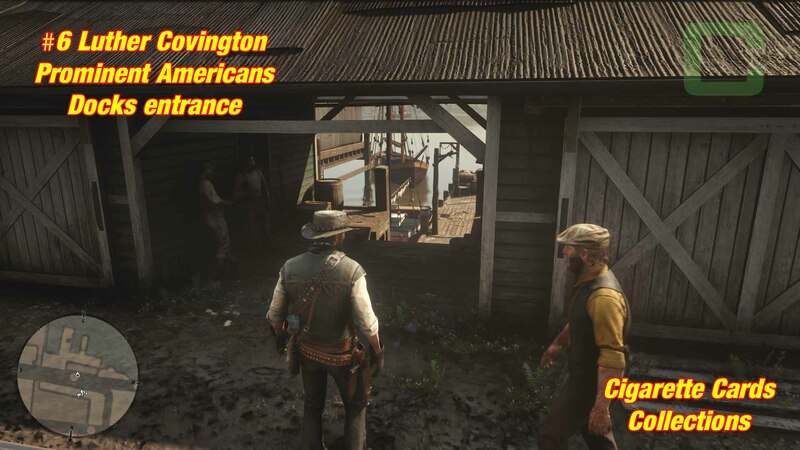 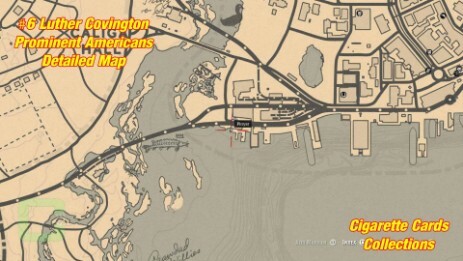 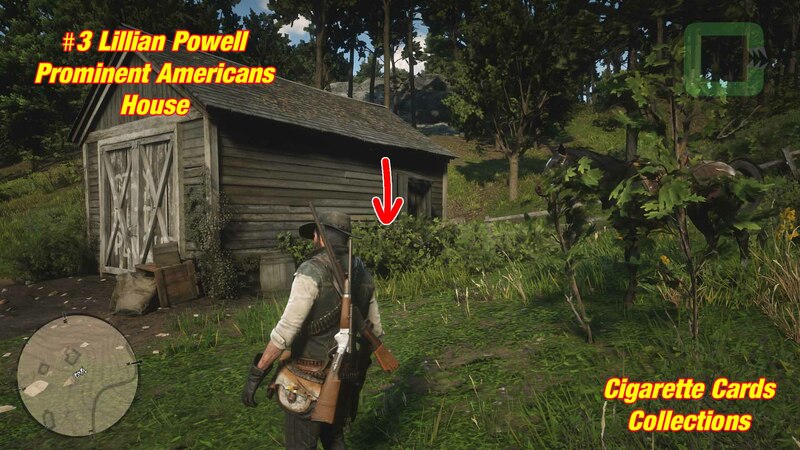 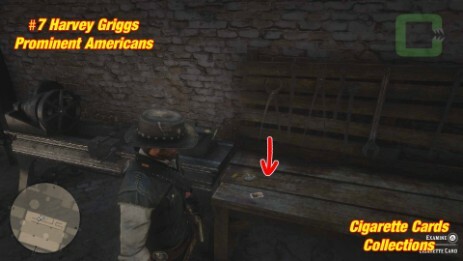 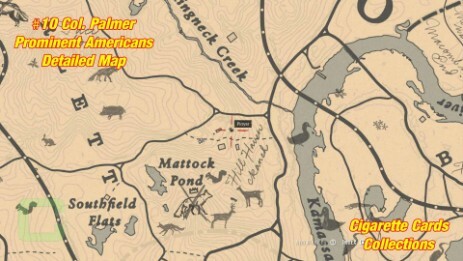 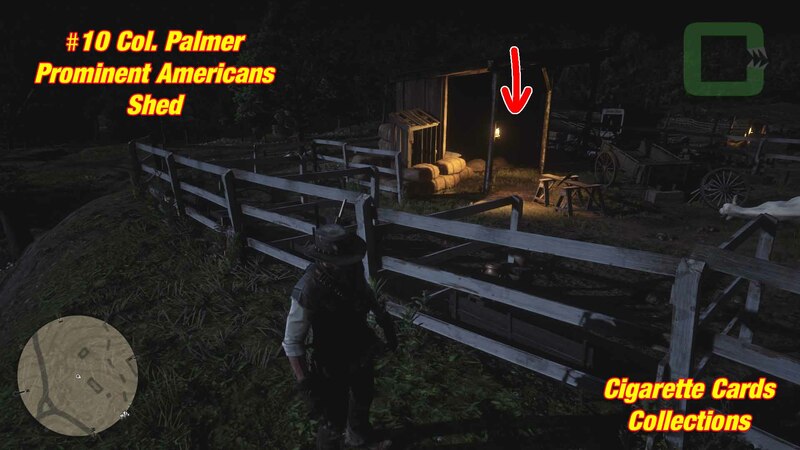 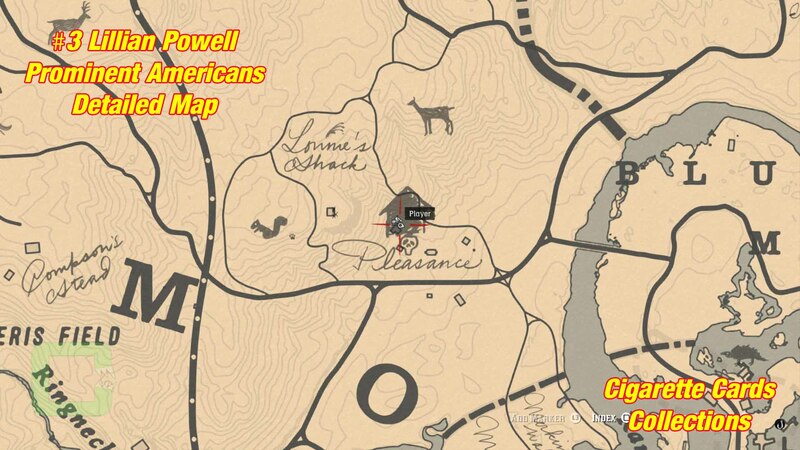 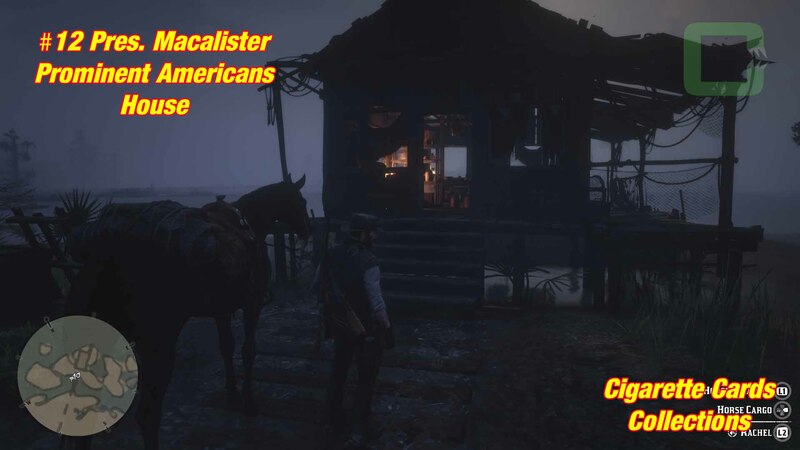 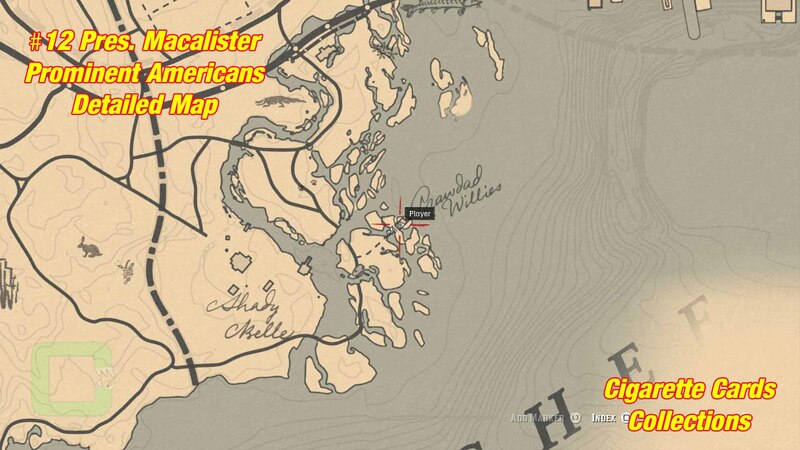 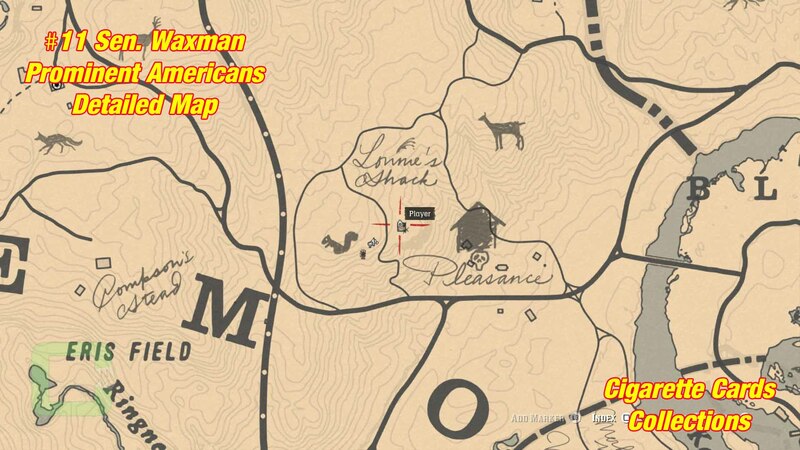 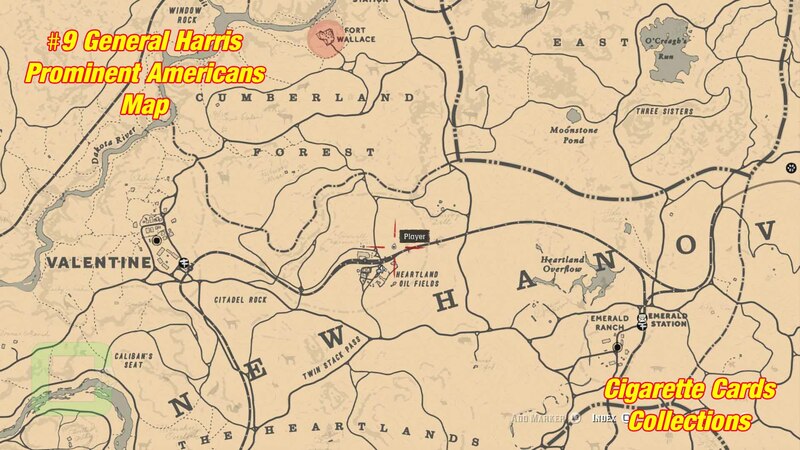 The card is located at Lagras Village, northwest of Saint Denis. Next to the Bait Shop is another house with a dock. The card is on the railing, when you get up to the house. 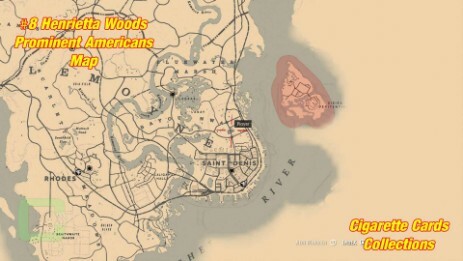 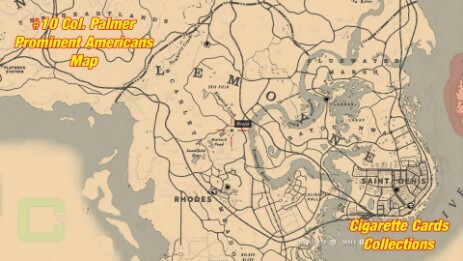 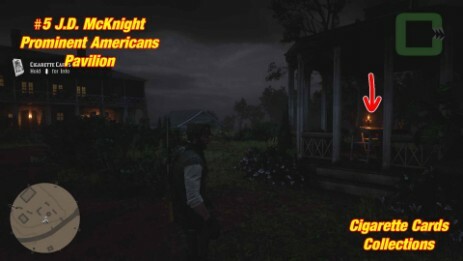 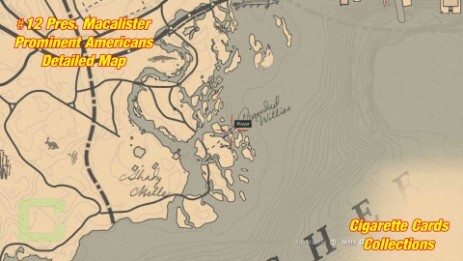 The card is located north of Rhodes in the abandoned village of Pleasant. There is a barn with boxes next to it. 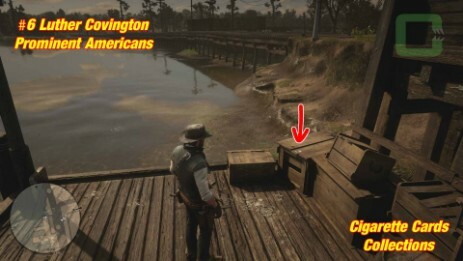 The card is on one of the boxes. 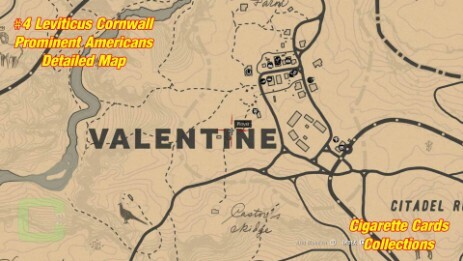 The card is located in the Valentine area. South of Valentine is this building with a barrel in front of the entrance. 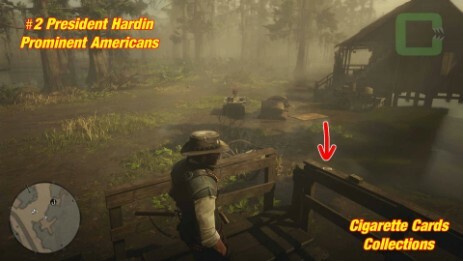 Here's the card. 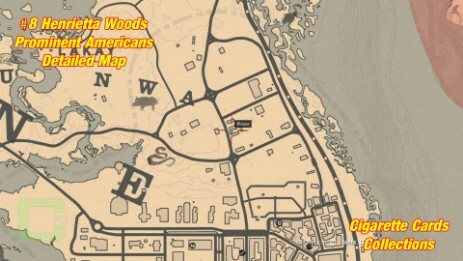 The card is located in the Rhodes area. 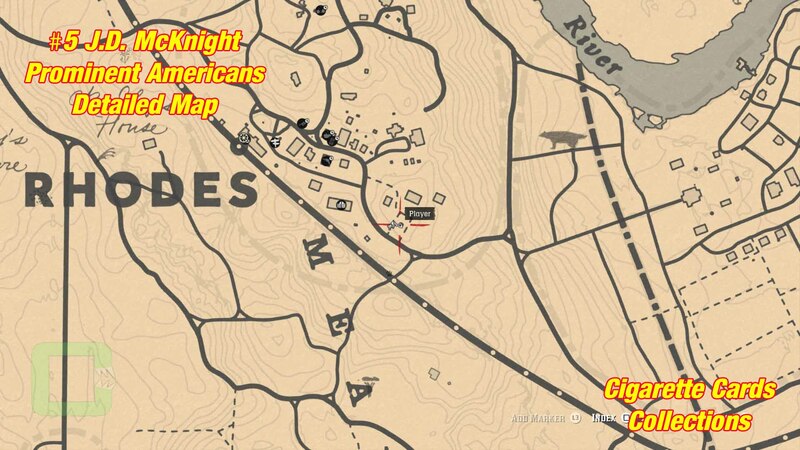 Southeast of Rhodes is a big mansion with a pavilion in front. The card is on a table at the pavilion. 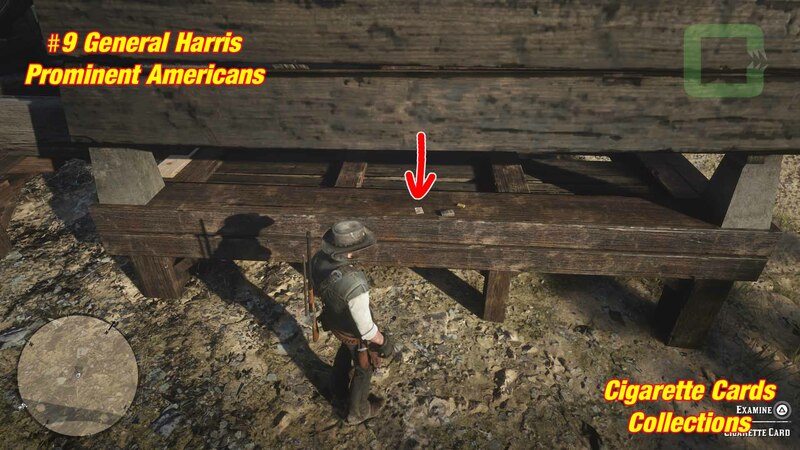 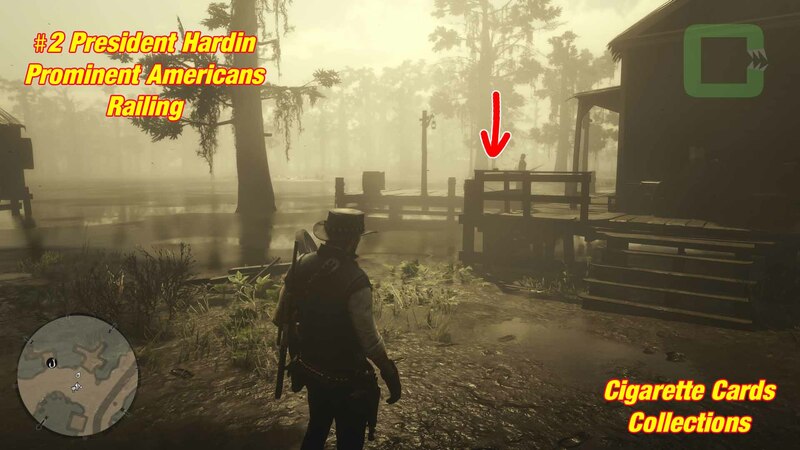 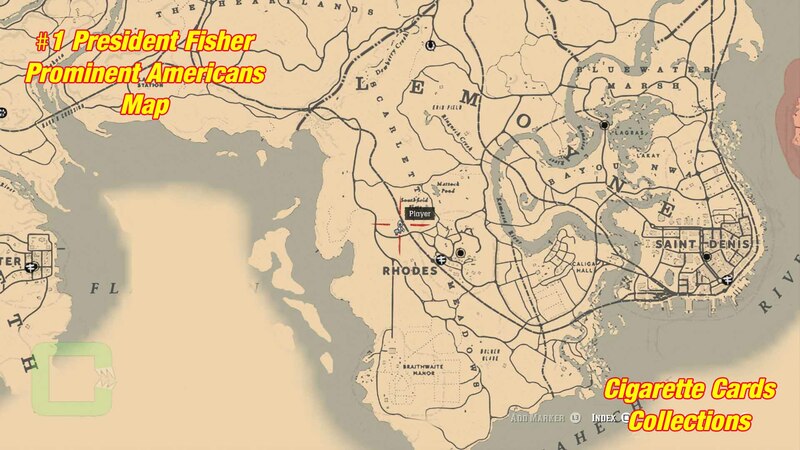 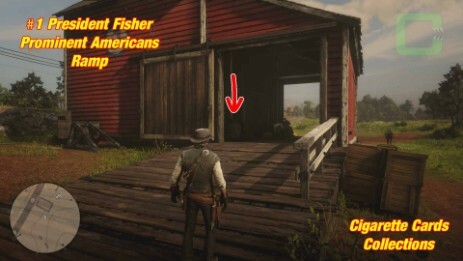 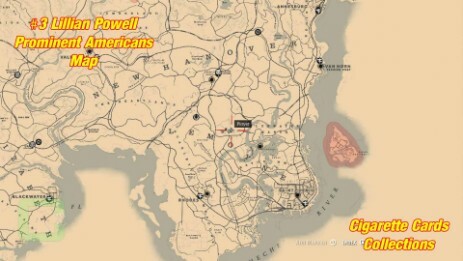 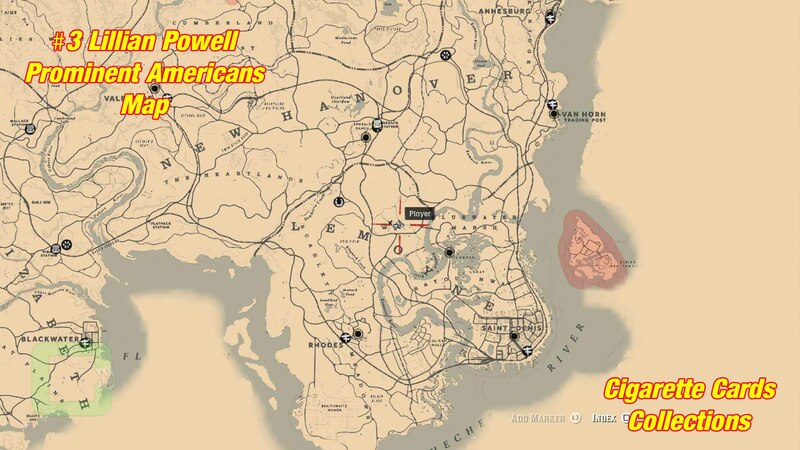 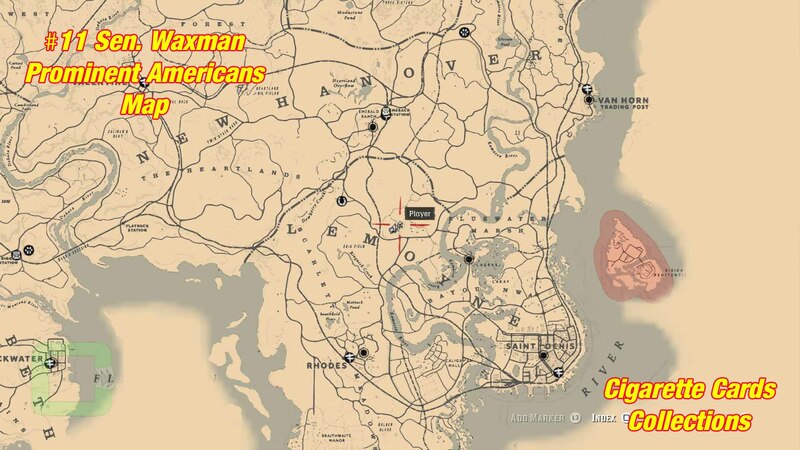 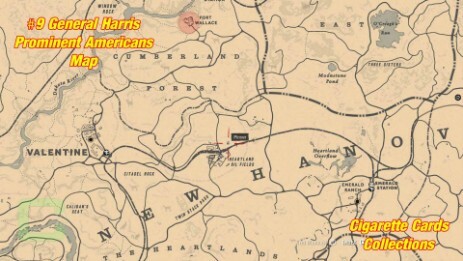 The card is located in the Saint Denis area. Southwest of Saint Denis are some docks. The card is at the docks on a box the furthest away from Saint Denis. 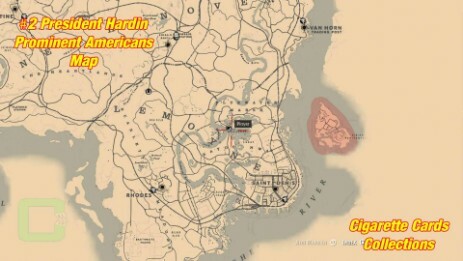 The card is located in the Saint Denis area. 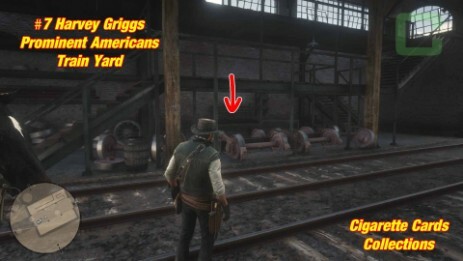 Southwest of Saint Denis is a train yard with tracks going into buildings. 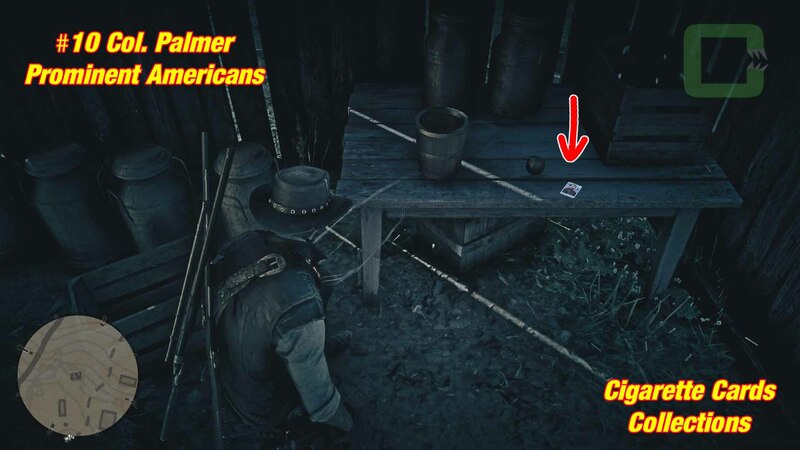 In one of them, downstairs, is a table, where the card is. The card is located in the Saint Denis area. 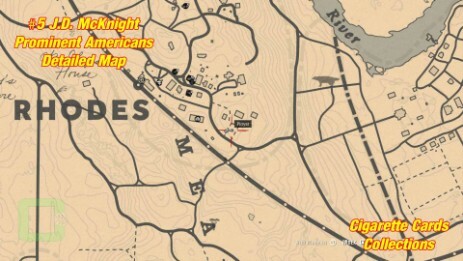 North of Saint Denis, there are 3 smaller houses next to each other. 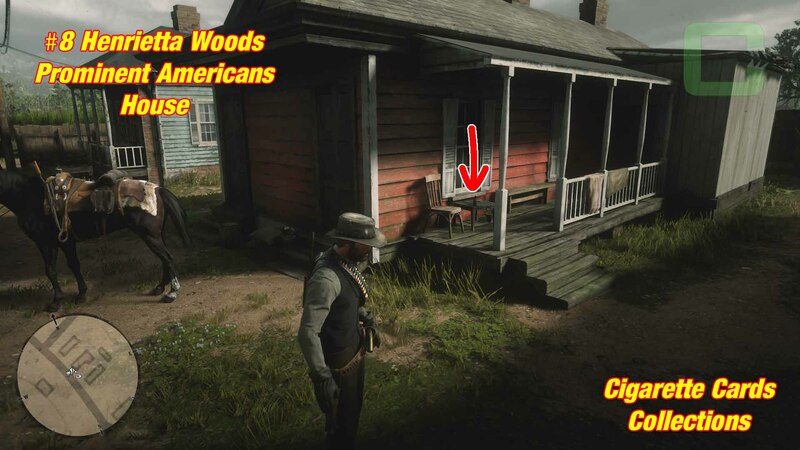 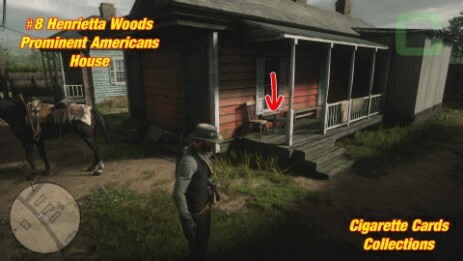 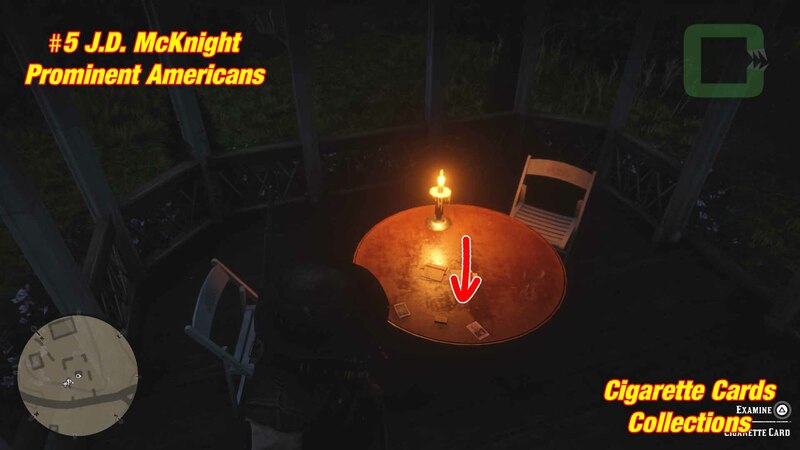 At the red house, there is a table with the card on it. 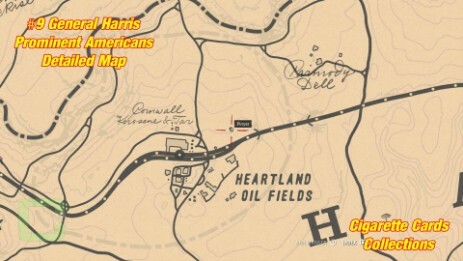 The card is located east of Valentine at Heartland Oil Fields. 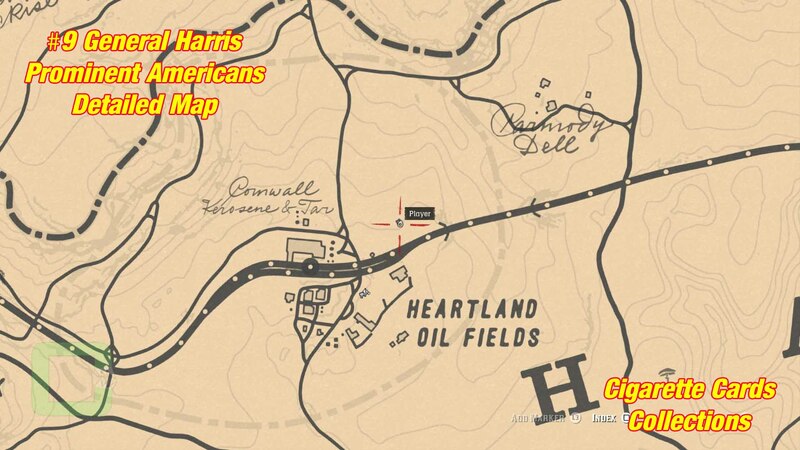 There is an Oil Tower in the northeast. The card is at the bottom of the oil tower. The card is located north of Rhodes in the Mattock Pond area. There is a farm with a house and a barn. 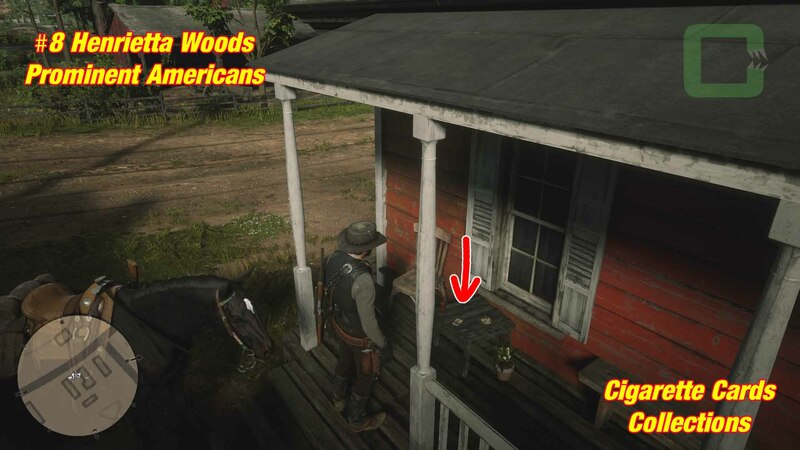 The card is in the little shed with the animals outside on a table. The card is located north of Rhodes near the abandoned town of Pleasance. There is a hut. 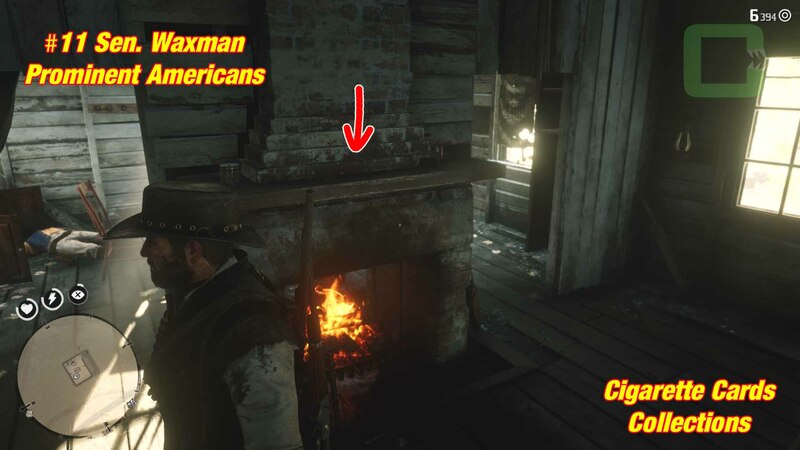 The card is inside at the fireplace in the bedroom. 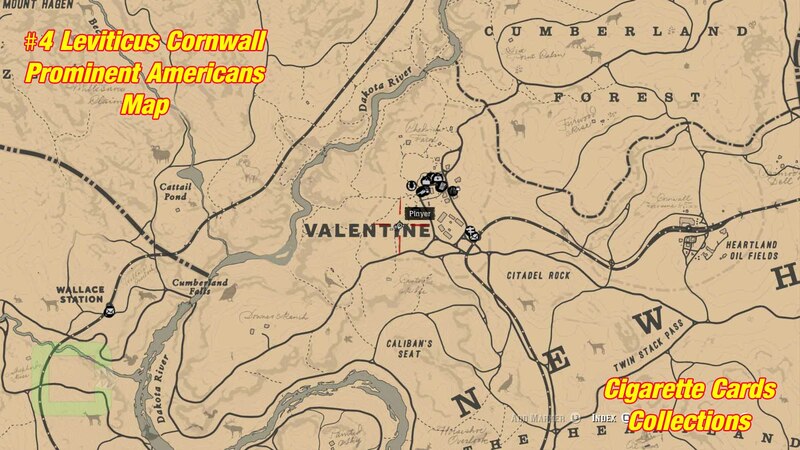 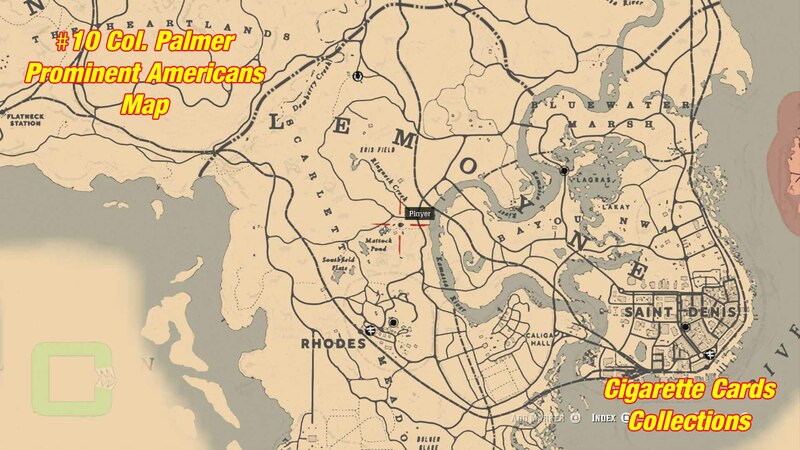 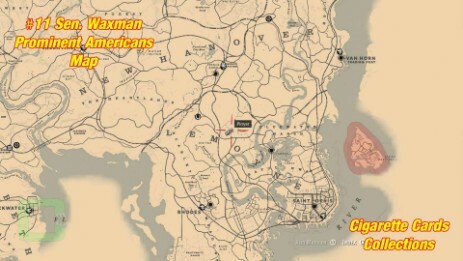 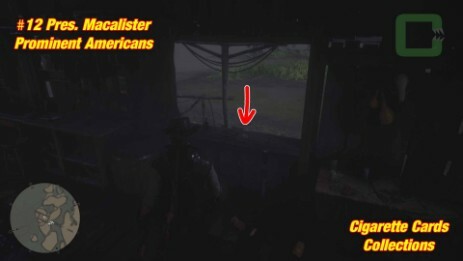 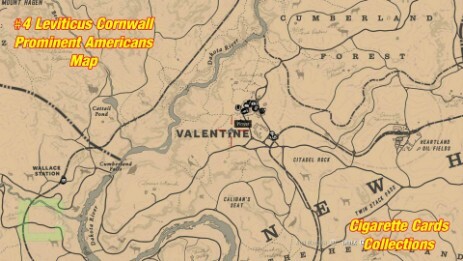 The card is located in the Saint Denis area. 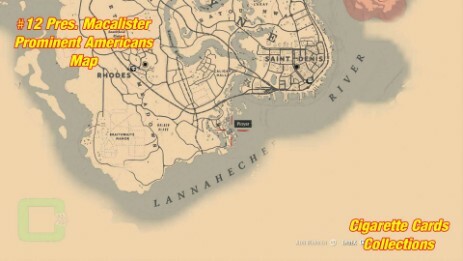 Outside Saint Denis in the southwest is a hut at the sea side. Inside the hut, the card is at the window sill.